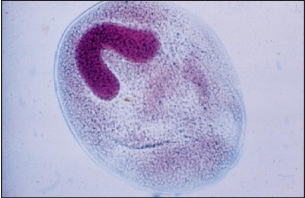 Ich is a common name for the parasite Ichthyophthirius multifiliis and the disease that it causes. The parasite is capable of killing large numbers of fish in a short period of time. Early diagnosis and treatment are essential for controlling Ich and reducing fish losses. Prevention of this disease is, of course, the best method of avoiding fish mortalities. Identification of Ich Fish infected with Ich may have white specks on their skin as though they were sprinkled with salt (Fig. 1). Because of this appearance, Ich is sometimes called white spot disease. The skin of the fish may also look bumpy. 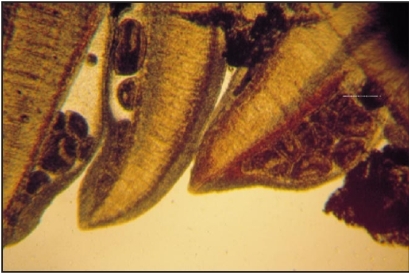 Mature forms of the parasite are large (up to 1 mm or 1/32 inch across) and can be seen without magnification. Ich often causes the fish to have large amounts of mucus sloughing off of their skin, an appearance which may resemble fungus when viewed from a distance in the water. Many times, however, the only indication of Ich’s presence may be dead and dying fish. 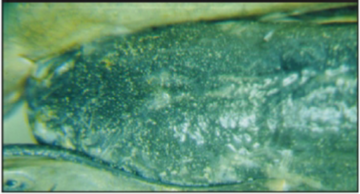 In some Ich cases the parasite may be present only on the gills and not on the skin. 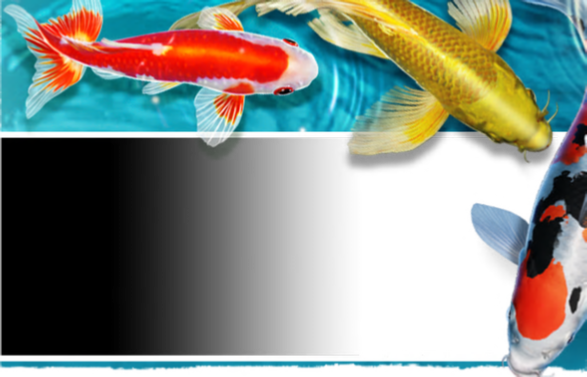 Fish with Ich may be observed making quick rubbing or scratching movements on objects or on the pond bottom. This behavior is sometimes called flashing because of the quick and sudden exposure of the fish's light-colored belly as it rolls during erratic movements. Trout have been observed flashing at the water surface, appearing as though they are striking at insects. In the final disease stages, Ich-infected fish also may appear lethargic and sometimes gather around inflowing water. Infected fish usually refuse to eat. Under the microscope, Ich appears as a sphere that changes shape and moves around in a rolling motion, using tiny hairs called cilia that totally cover the parasite. Its method of motility is often compared to that of an amoeba. The center of the adult organism has a C-shaped nucleus (Fig. 2). The small infective stages do not have the C-shaped nucleus, and they move in the water rigidly, as opposed to the fluid, rolling movement of the adult. In advanced stages of infection, Ich is found burrowed under the mucus and top layer of cells (epithelium) in the fish’s gills or skin. After burrowing, Ich is very hard to treat because of the protective layer of mucus and host cells covering the parasite. Prompt treatment is important to help prevent the establishment of an advanced infection. Figure 1. White specks on the skin of a catfish infected with Ichthyophthirius multifiliis. Ichthyophthirius multifiliis is a protozoan parasite that usually is transmitted into a pond by a carrier fish, other animals, or man. It can be pumped into a pond from a river or stream used as a water source for the pond. When the Ich adult leaves the infected fish, it is called a tomont (Fig. 3). The tomont attaches to the pond bottom or other surface and forms a thin-walled cyst. Within the cyst, the tomont divides many times, forming as many as 2,000 small tomites. 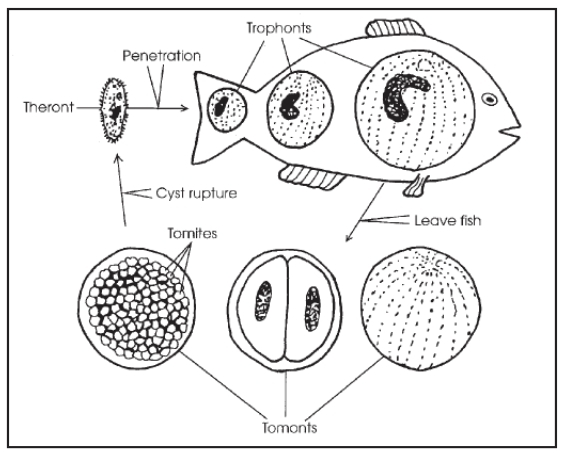 When the tomites are released from the cyst into the water, they elongate and become theronts. These theronts (also called swarmers) swim to a fish host and penetrate the fish’s epithelium using a penetrating gland and the strong swimming action of their cilia. If they do not find a fish host within a day or two they usually die. This makes Ich an obligate parasite; it must have a fish host to survive. Once they penetrate the fish they are referred to as trophonts. Trophonts feed on the host fish and mature while being protected from chemical treatment under the fish’s mucus or epithelium. Only the theront and tomont stages are sensitive to treatments in the water. The amount of time needed for Ich to complete its life cycle is temperature dependent. Ich commonly infects fish between 68o and 77o F (20o to 25o C), but infections do occur at colder temperatures (as low as 33o F, 1o C). Typically, Ich cannot reproduce properly at water temperatures above 85o F (30o C), so the parasite usually does not cause problems in warm summer months. However, in a case in central Florida, Ich was responsible for killing fish at 92o F (33o C). To complete its life cycle, Ich requires from less than 4 days (at temperatures higher than 75o F or 24o C) to more than 5 weeks (at temperatures lower than 45o F or 7o C). Researchers have discovered that the Ich parasite can multiply directly by dividing underneath the fish’s top skin layer, bypassing the usual three-stage life cycle. When this occurs, one can see multiple Ich cells of similar size lined up or in clumps underneath the thin layer of host cells (Fig. 4). Ich is not treatable when it becomes established to this degree and reproduces in this manner, because it does not need to leave the host where it would ordinarily be vulnerable to treatment. Figure 3. Life cycle of Ichthyophthirius multifiliis. Figure 4. Ich infection under the epithelial layer of the gills. Because not all stages in the life cycle of Ich are affected by treatments, multiple treatments must be administered to catch individual Ich organisms in the vulnerable stages of their life cycle. For example, during the first day when a chemical is added to the water to kill Ich, only a certain percentage of Ich organisms will be susceptible to the chemical. Two days later many of the surviving Ich organisms, which were embedded in the skin, will be entering the vulnerable stage of their life cycle; chemical treatment on this day will kill these susceptible organisms. In order to catch all the Ich organisms in a “treatable” stage, from three to seven treatments might be needed. believe treatments should be applied every day, even in cooler weather, instead of skipping days in between. Ich appears to have a distinct temperature range in which it is infectious (see Life Cycle of Ich). It has been observed that temperature changes of 15o F or more above or below the temperature at which an Ich case is detected will end the disease episode regardless of the number of treatments made In some cases, one or two treatments may be all that is necessary to “buy time” for the fish until such a temperature change occurs. The U. S. Food and Drug Administration has approved the use of formalin (Formalin-Fª) to control Ich on trout, salmon, catfish, largemouth bass and bluegill. At the time of this writing, FDA has also given copper sulfate (CuSO4) and potassium permanganate (KMnO4) deferred status, which means that these treatments may be used without legal prosecution, but they may lose deferred status if evidence is found of any danger to the human consumer. No other chemicals should be used to treat Ich on food fish. Of the three therapeutants, copper sulfate is the least expensive. Treatment rates for various chemicals are described below. Adding extra chemical “for good measure” may kill or stress the fish being treated, while using less than the required therapeutic dose may not be effective in killing the parasites that are causing the fish to die. The person applying the treatment should protect eyes with goggles and skin with gloves and long sleeves. A respirator should be worn. Formalin is a solution of 37 percent formaldehyde in water with 6 to 15 percent methanol added as a preservative. It should be stored at temperatures above 40o F. Formalin can be used as a bath treatment for up to an hour at 125 to 250 parts per million (ppm) (4.4 to 8.8 milliliters per 10 gallons; 32.8 to 65.5 milliliters per 10 cubic feet). The treatment rate should not exceed 167 ppm on warm water fish when temperatures are higher than 70o F (21o C), or on trout and salmon when temperatures are above 50o F (10o C). Tanks should be flushed with clean, aerated water after an hour, or sooner if fish show signs of stress. Formalin is used as a pond treatment at 15 to 25 ppm. This would be 4.5 to 7.5 gallons of formalin per acre-foot (an acre of water 1 foot deep). At the time of this writing, the cost of formalin was about $5.00 per gallon in large fish production areas, but can be as high as $30.00 per gallon for small quantities. At $5.00 per gallon, the cost of one treatment with 15 ppm formalin would be: 1 acre-foot x 4.5 gallons formalin/acre foot x $5.00/gallon = $22.50 per acre-foot If formalin costs $30.00 per gallon, the cost would rise to $135.00 per acre-foot. And at 25 ppm, the cost would range from $37.50 to $225.00 for each acre-foot treated. Formalin should be applied evenly throughout the pond. Formalin should be handled very carefully because its fumes are dangerous and can damage the mucosal lining of the nose and throat. Within this category of “Fish Health” here on koisale.com we wish to thank Dr. Roy Yanong from the University of Florida IFAS Extension for his permission to utilize much of the information contained here-in. Here, in his own words, are some disclaimers for any lay-person reading any of this information. Find A Fish Vet locator.